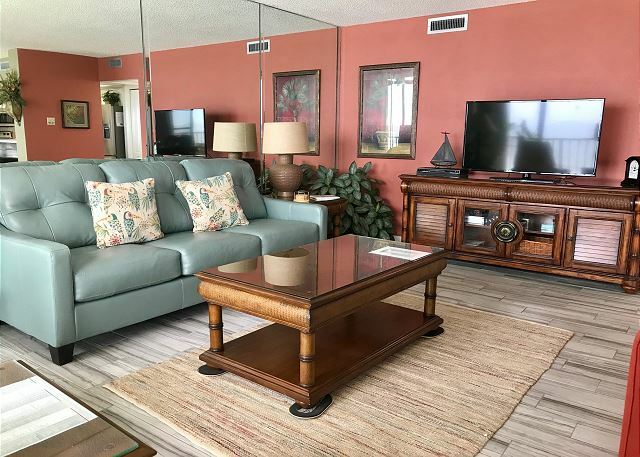 Beautiful, spacious,non-smoking 2 Bedroom 2 Bath center condo with amazing beach view, The same owner for 20 years continues to make updates to keep the condo fresh and inviting. Tile throughout the entire condo. New furniture,appliances and accessories. Kitchen is well equipped with dishes,cookware and "gadgets". Master BR has a comfy king bed and Guest BR has two double beds. Flat screen TV's in Great Room and both bedrooms. Easy care live plants adorn the Great Room to make it feel like home. Balcony has high top table and chairs to male the most of the fantastic view. 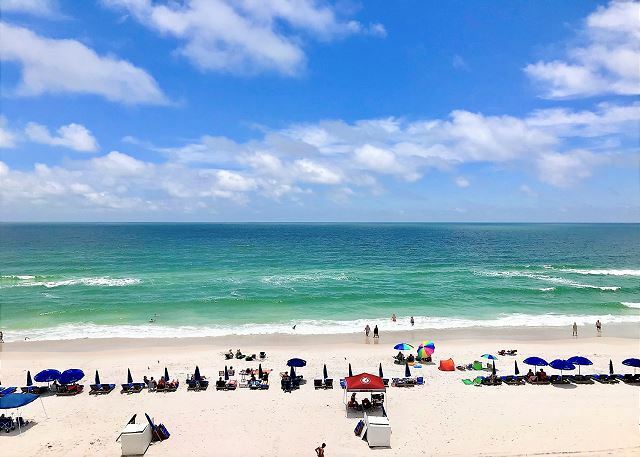 Unique to Pelican Walk is the dedicated staff located on-site that are more than happy to help you and your family have a fun, relaxing, memorable beach vacation! 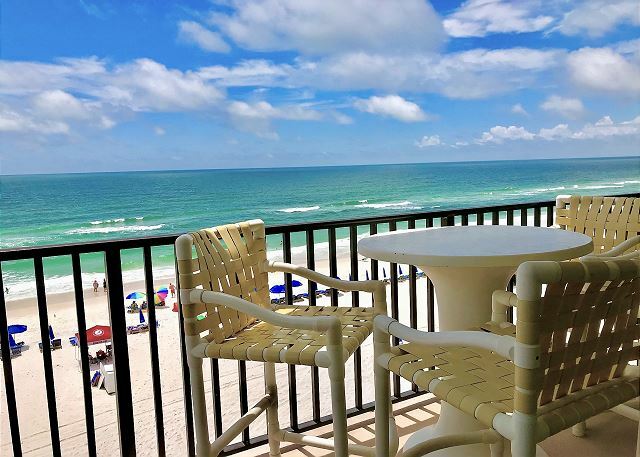 Pelican Walk is one of the few PET FRIENDLY properties in Panama City Beach! The Pelican Walk Owner Association Pet Policy allows up to TWO (2) dogs per condo and each dog must weigh 20 lbs or under. All dogs must be registered upon arrival and each will be issued a Pelican Walk Leash Sleeve. *Pet fee is $150/pet per stay charged by the Pelican Walk Owners Association. Pet fee is non-refundable. Beautiful condo, decorated very tastefully. Was very clean and organized. The furniture and bedding were very comfortable. Pet friendly!! We always were able to get a chair by the pool and the pool was always very clean. The maintenance staff was great and very friendly.